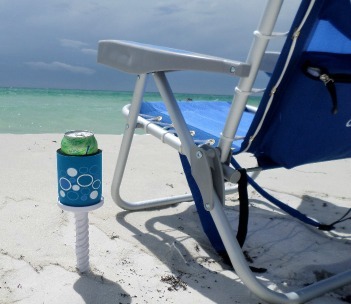 Koozie coolers always go into our beach supply list. While our drinks keep cold in the cooler, they can quickly get warm out on a hot sunny day. So keep your drink cold, prevent condensation, and always be able to identify your drink with koozie coolers. Here are some of the ones we have enjoyed. We love our magnetic can Koozie. Place the stake in the sand right by your favorite beach chair. 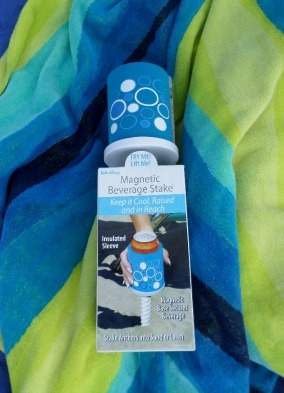 Your drink stays cool in the insulated sleeve and a magnet keeps your canned drink secure. No tipping it over, no sand in your drink and no warm sodas. These cup holders are one of those simple thins that just make going to the beach a little bit easier. Protect your drink from tipping over and from the sand by placing it in the plastic cup holder. Push the holder into the sand and - there you go. No sandy bottoms on your cans or bottles. You can enjoy your drink without it tipping over or getting sand in your beverage. 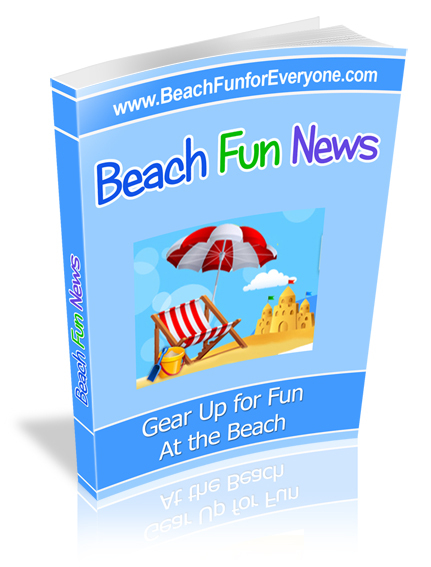 They come as a set of 4 in fun beachy colors. Yeti Coolers may be a status symbol for some, but they do do a great job insulating and keeping drinks cold. If you like to keep your drink icy cold and who doesn't, you will find you'll never go back to a fabric koozie once you start using the Colster. Yeti promotes it for use with cans and bottles, but it will need a neoprene holder if using it for bottles so it fits nice and snug. Keep your canned drinks cold for up to 3 hours with this stainless steel metal koozie cooler. Sweat-proof so there isn't any dripping water. Just like your old thermos that kept drinks hot - the same insulation technology keeps your cold drinks cold. If you put it in the fridge first it gives it a little more help - but it's not necessary. Use it at the beach, by the pool, in your car, or while boating - as it really does keep your drinks cold. There are three design options - white, gun metal gray and charcoal. This costs about one third the price of a Yeti Colster at around $11.00. I use mine all the time - at the beach and at home and it insulates really well keeping a canned drink cold for a couple of hours. Hook your water bottle onto your beach bag or backpack so it's always right with you. The drawstring top means this insulated cover will work with around 22 oz water bottles or tall beer bottles. It's 7" tall and 3" in diameter. It costs just around $8.00 and will keep your bottle from sweating. Put your water bottle (not filled to the top - fill 3/4 of the way) in the freezer and then when you're ready to use it, top if off with water. Add your sleeve cover and your water will stay nice and cold. For those of you who like to use your Nalgene water bottle, you can keep your drink cold at the beach with the help of this insulated sleeve. 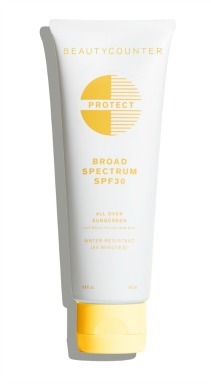 It fits a 20 oz bottle and may fit smaller ones loosely and larger ones tighter. Prevents condensation and insulates well to keep your drinks nice and chilled. I only wish they had several designs to choose from. Drinking lots of water to keep hydrated will help prevent any symptoms of heat exhaustion or heat stroke. If you don't drink enough water you may find that the next day you or one of your kids will have a headache, may feel somewhat nauseated or just complain that they don't feel good. Help keep your water and drinks cold with this insulated neoprene water bottle koozie. It fits most bottled water and sodas, up to about 20 oz. bottle. We have several different colors - each family member has an assigned color - so no passing around germs. Our daughter loves the Vikings. One year this was her favorite Christmas gift. You can choose any NFL team - from the New York Giants to the Chicago Bears. Add some bling to your beer bottle with these fun koozies. You can keep your koozie simple with a solid color or have fun with it and get one that has your favorite sports team. You can find just about any team logo year round at Amazon. If you just want the solid color ones, during the summer you can find them at your local dollar store. However, every time I went to get a bunch of them at my store, they were always out. I love how they absorb the water from sweating bottles and if you have a variety of colors and designs there's no mixing up whose bottle belongs to who.